Victorian Satinwood Dressing Mirror, Nicely Carved Decoration Ivory Finials Original Mirror Plate. 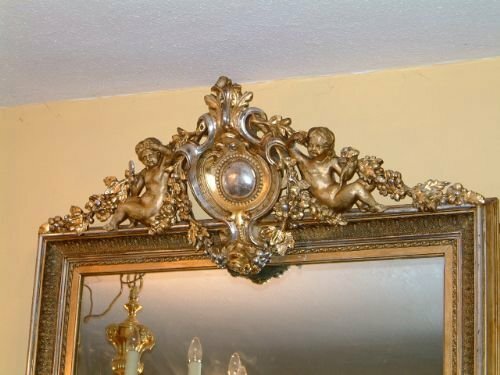 Victorian Gilt & Silvered Mirror with Carved Decoration Depicting Reclining Cherubs with Swags of Fruit Garlands etc. 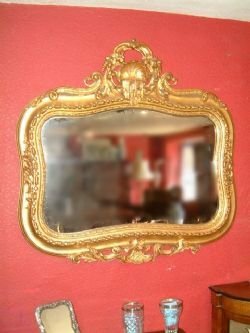 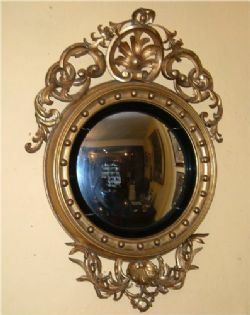 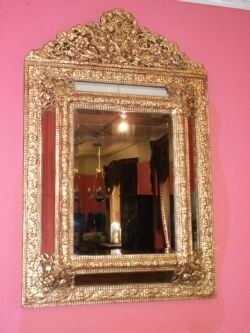 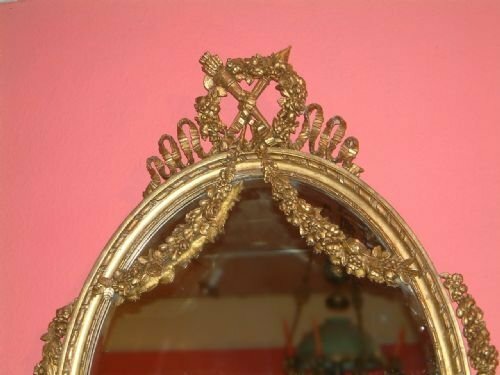 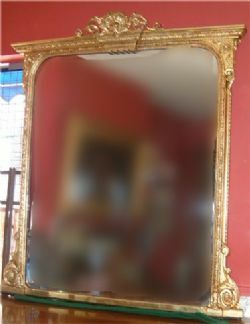 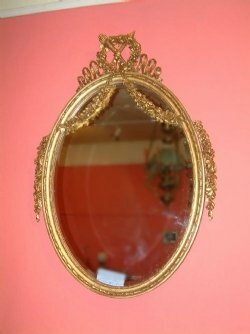 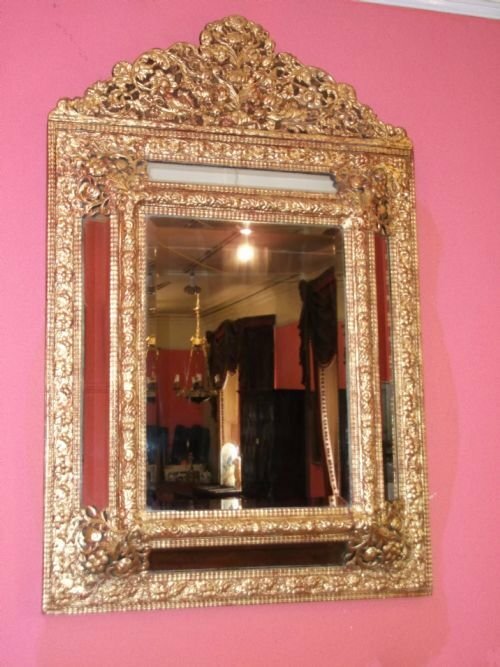 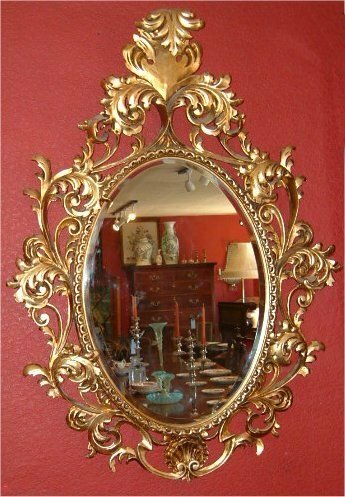 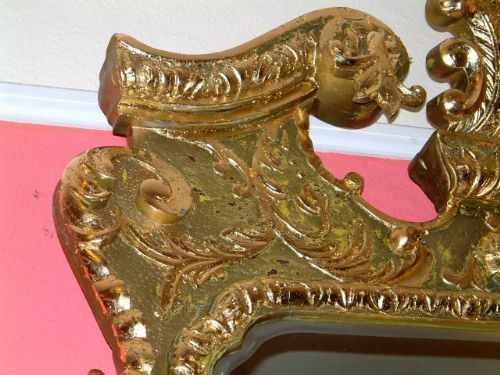 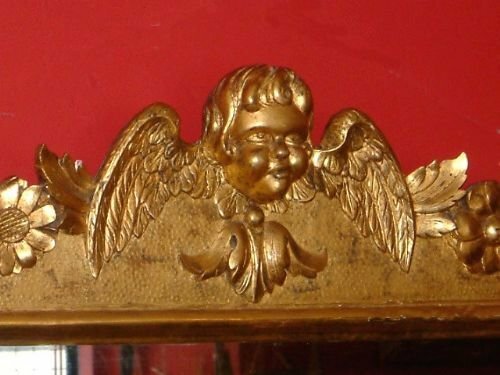 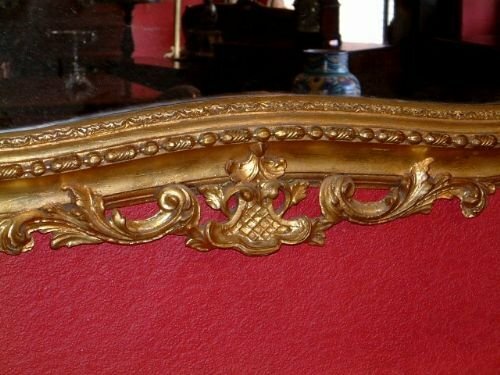 Victorian Gilt Metal Cushion Frame Mirror Charles 2nd Style. 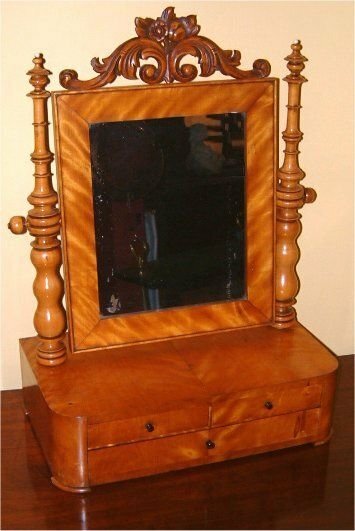 Edwardian Mahogany Cheval Dressing Mirror with Bevelled Mirror Plate the Swann Neck Cornice with Ivory Paterae the Adjustable Mirror with Brass Knobs Supported on Sabre Legs with Brass casters. 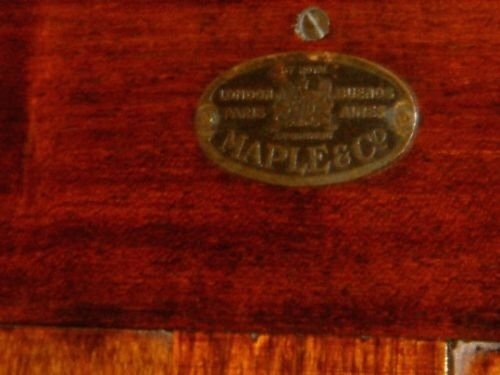 The Panelled Reverse Bearing the Brass Label of Maple & Co London. 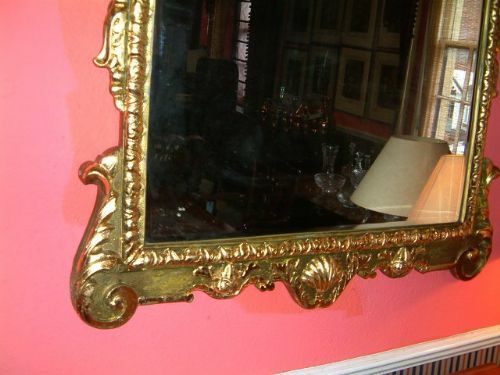 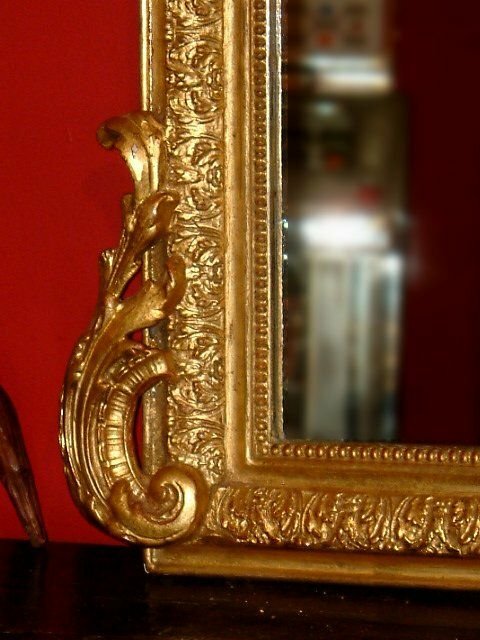 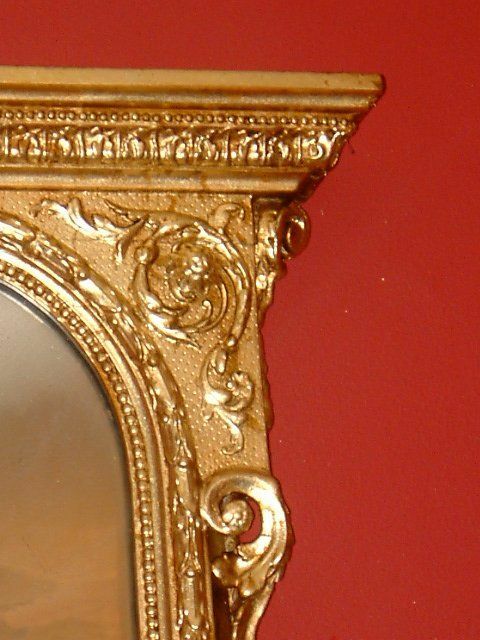 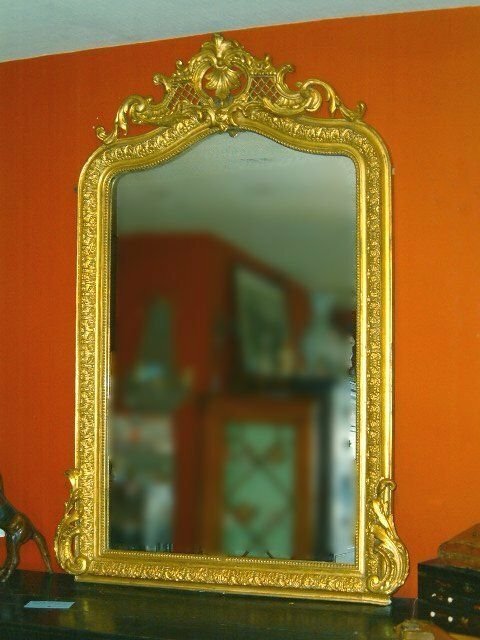 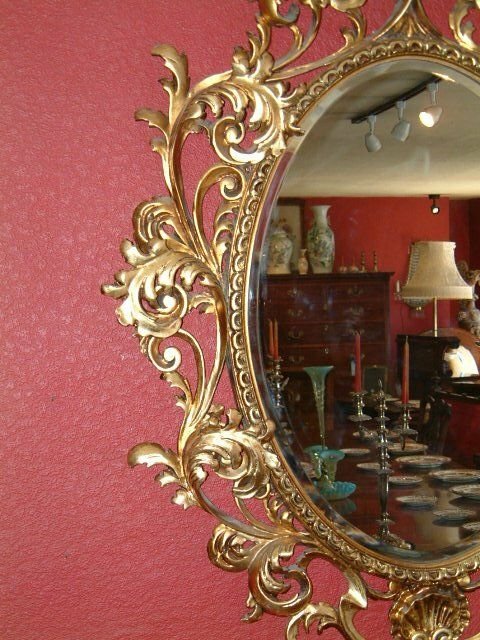 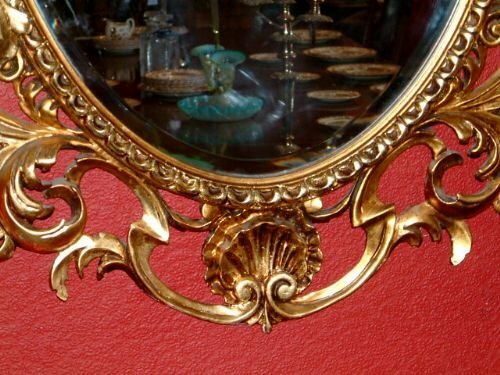 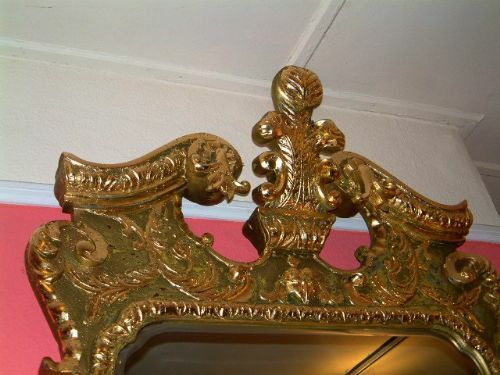 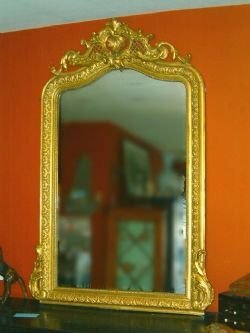 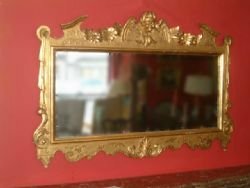 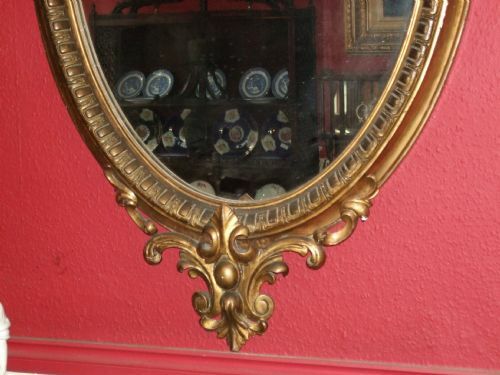 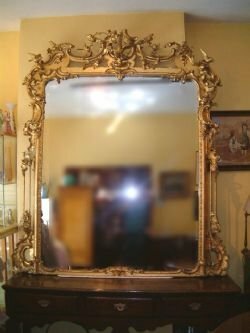 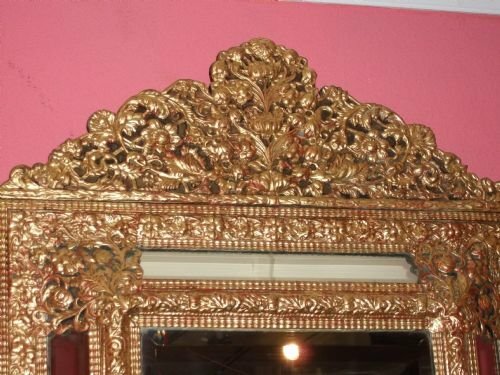 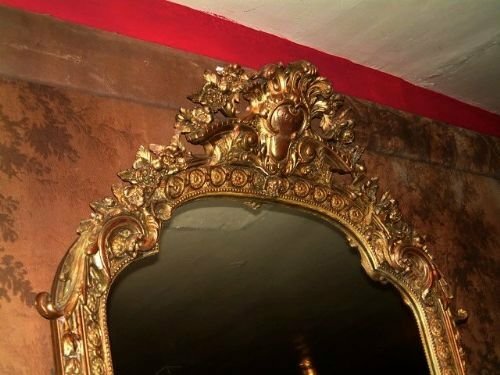 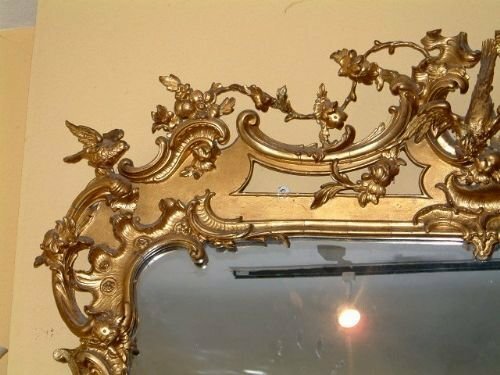 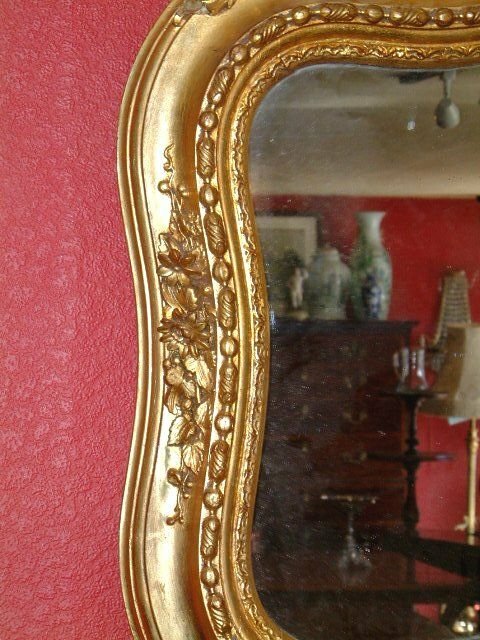 Victorian Gilt Overmantle Mirror, well Carved Nice Gilding. 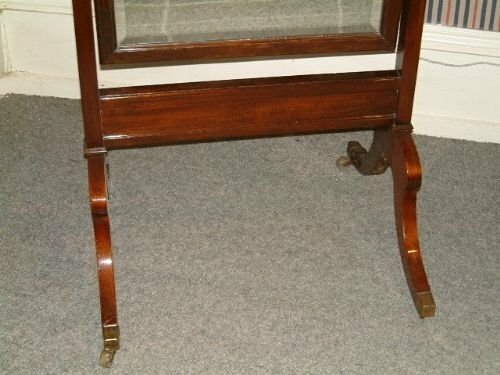 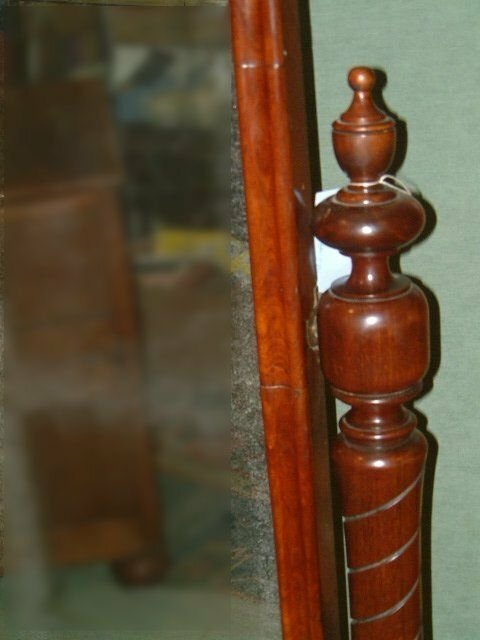 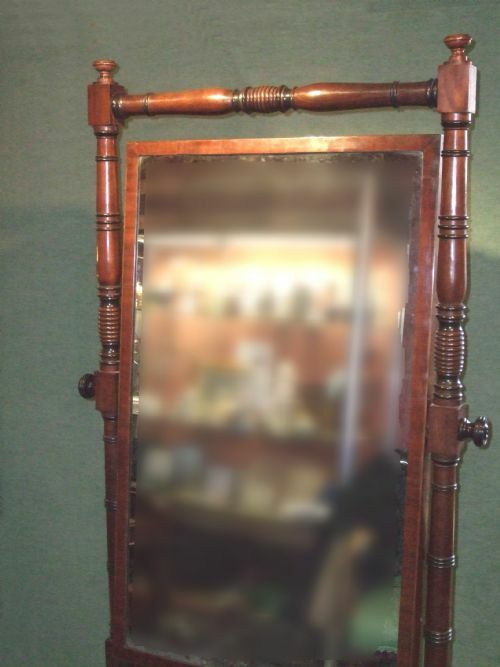 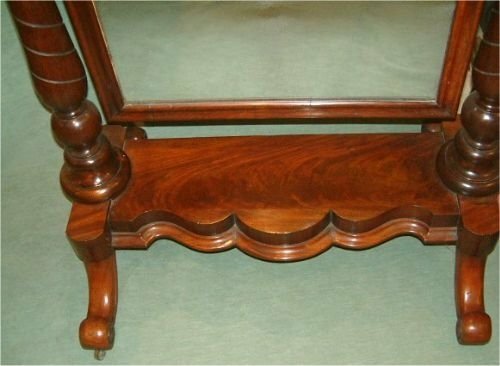 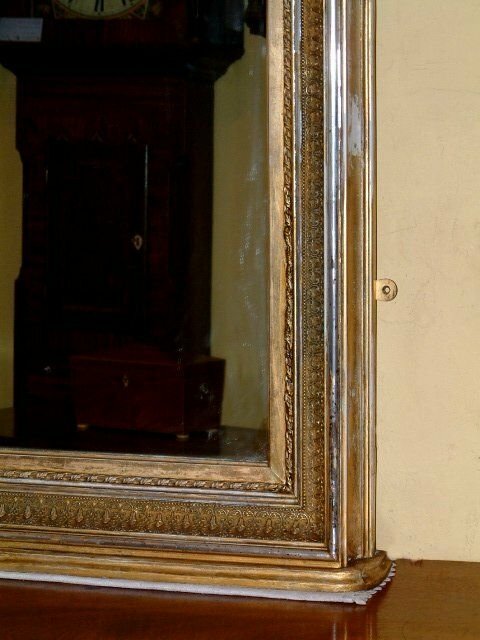 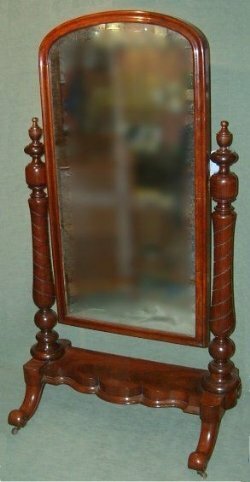 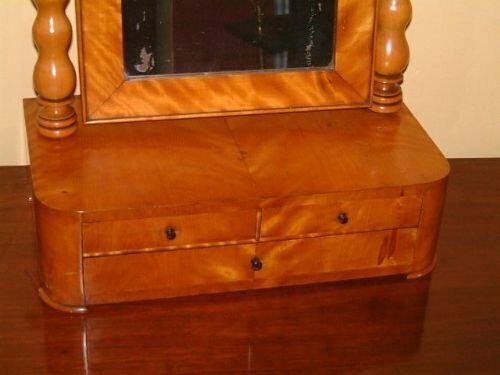 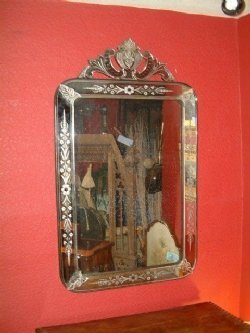 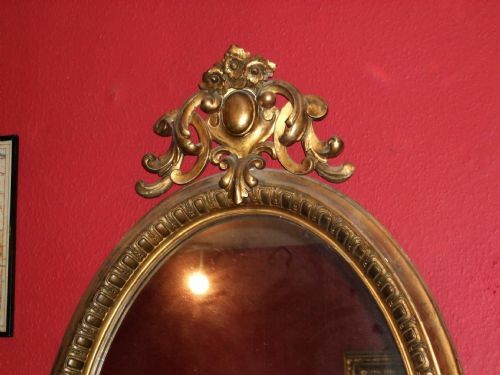 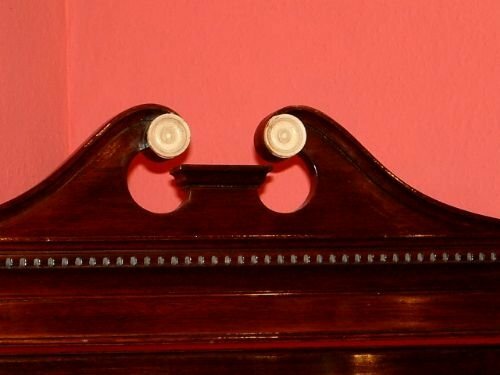 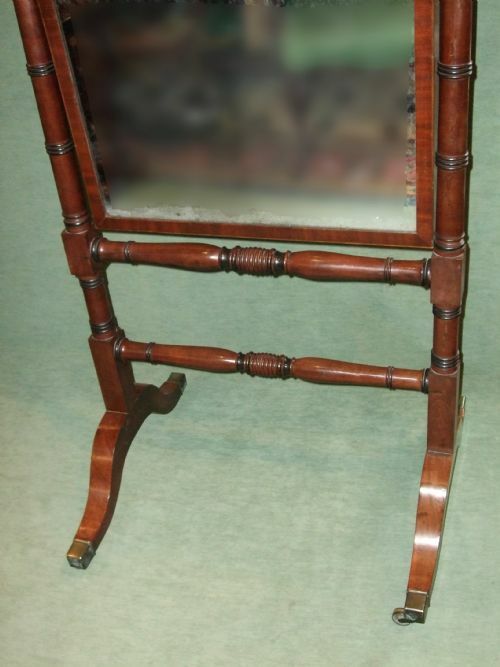 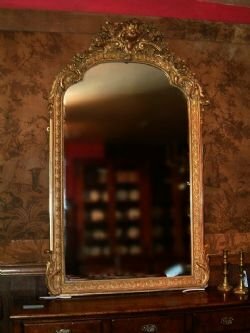 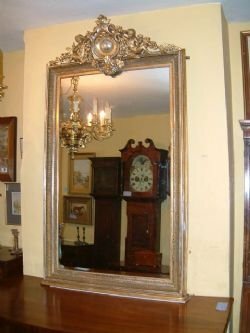 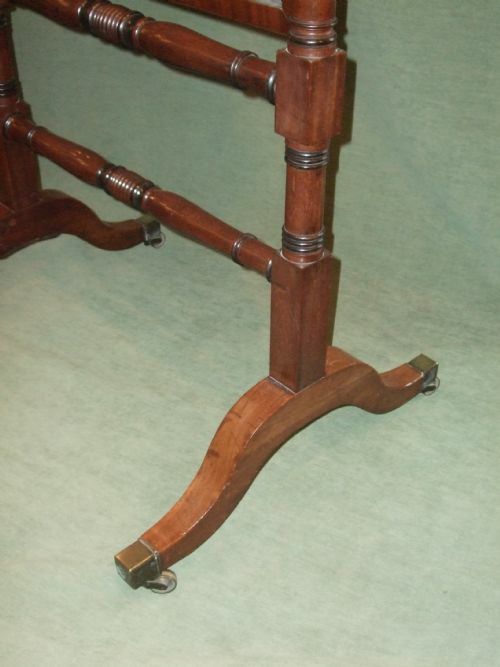 Regency Period Mahogany Cheval Mirror. 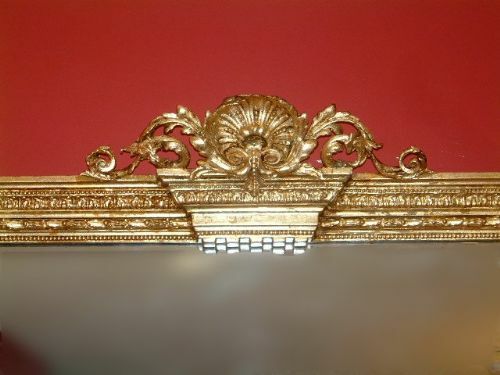 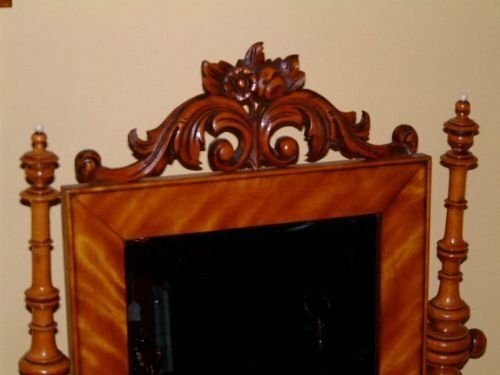 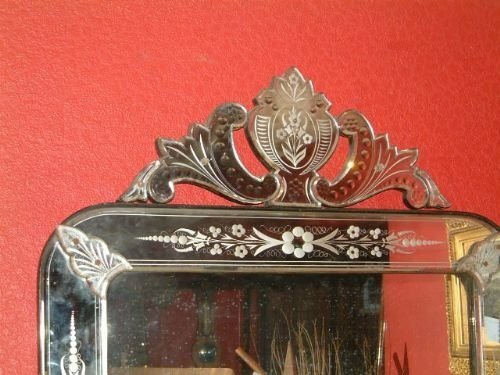 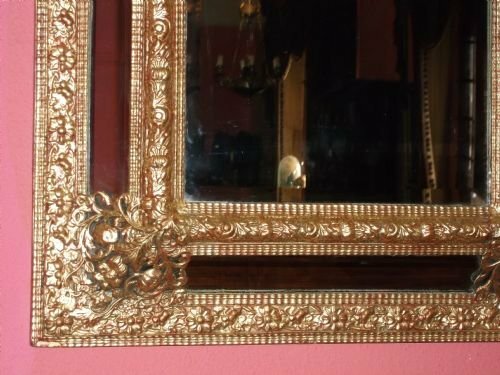 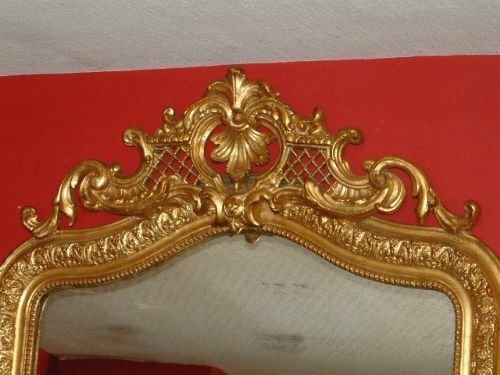 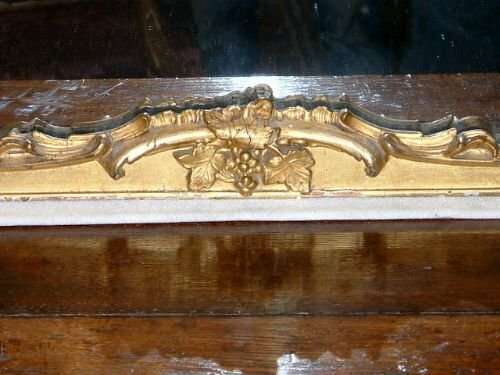 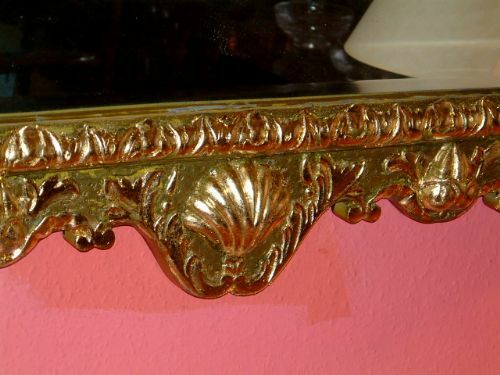 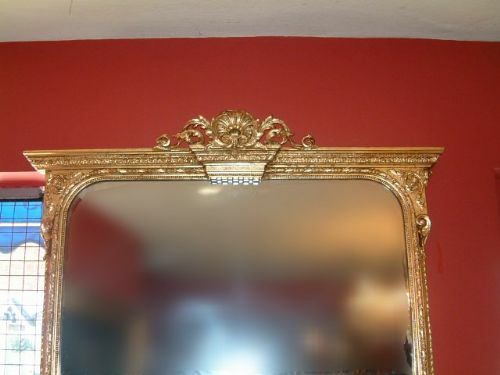 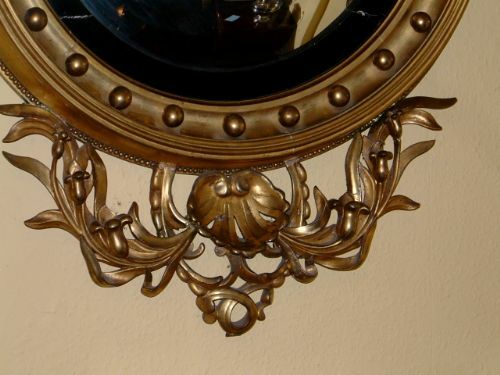 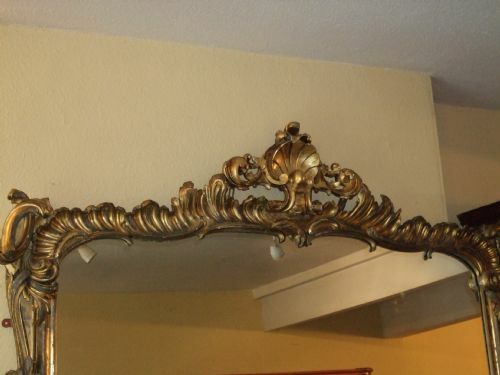 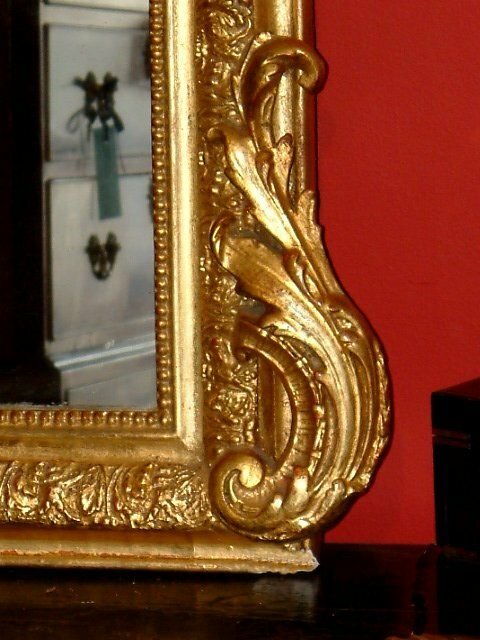 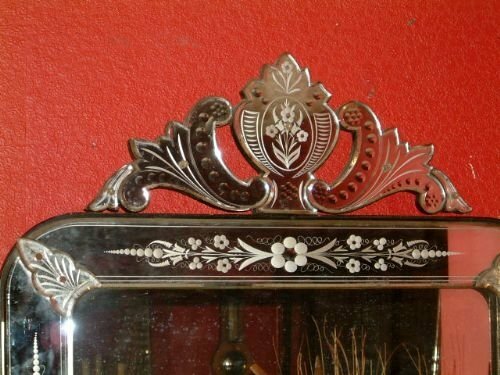 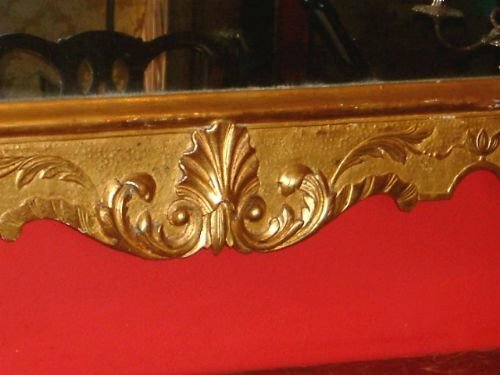 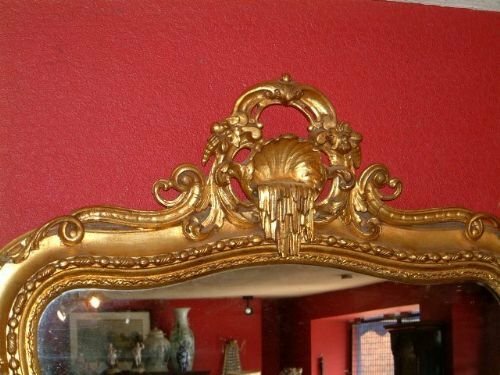 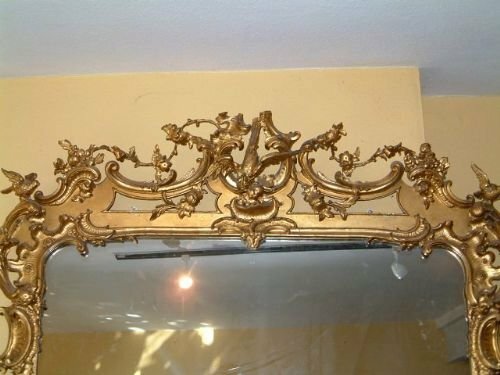 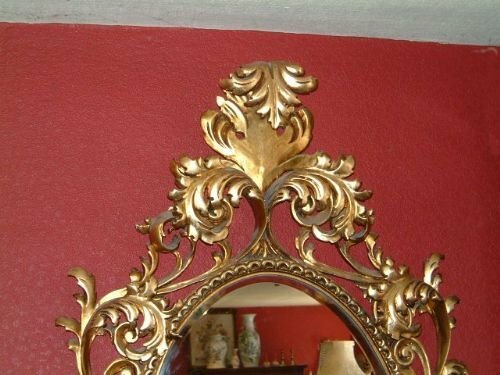 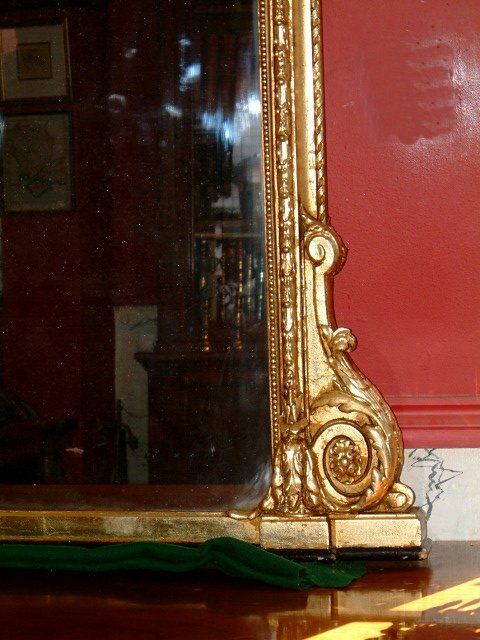 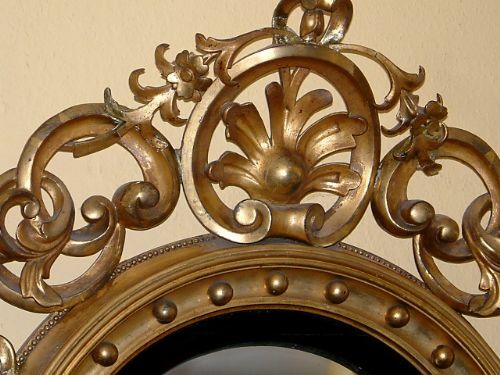 Victorian Gilt wood Over mantle Mirror with Carved Decoration. 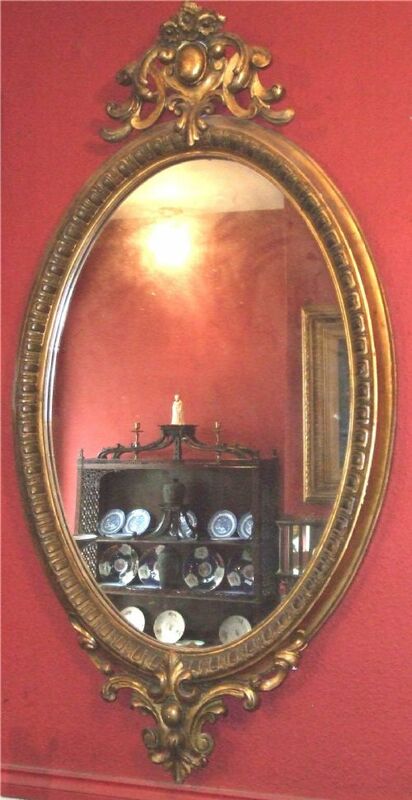 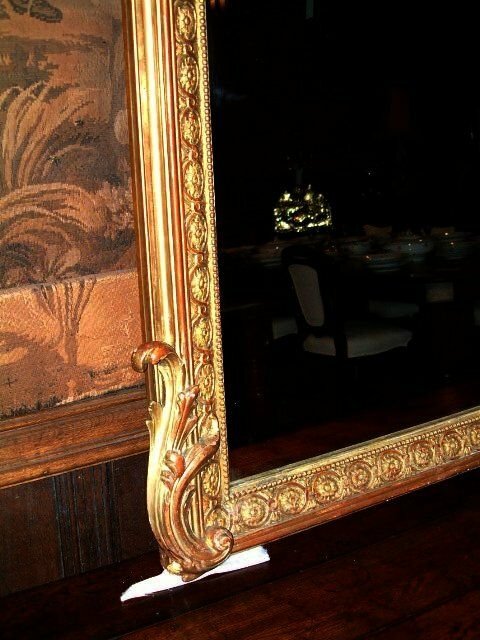 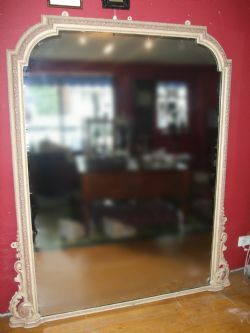 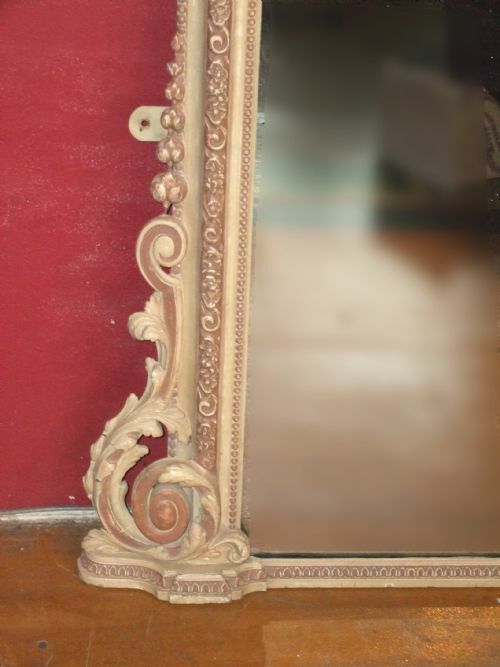 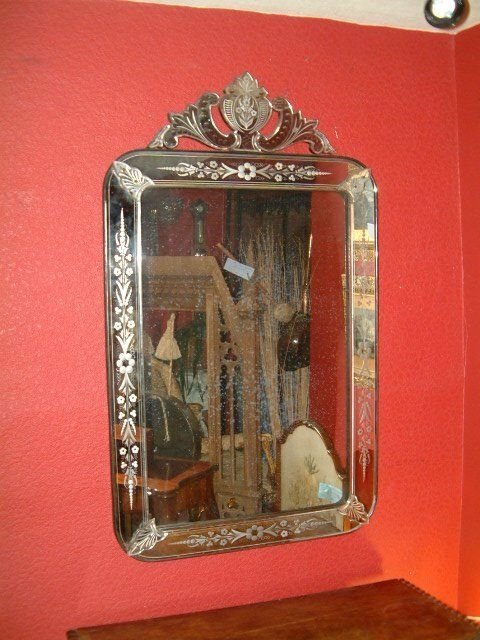 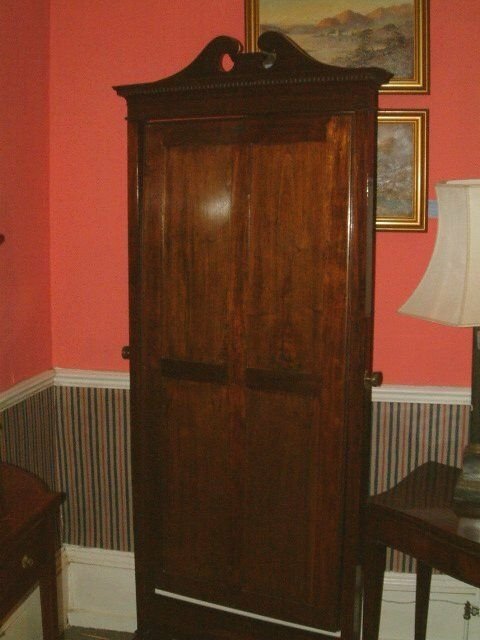 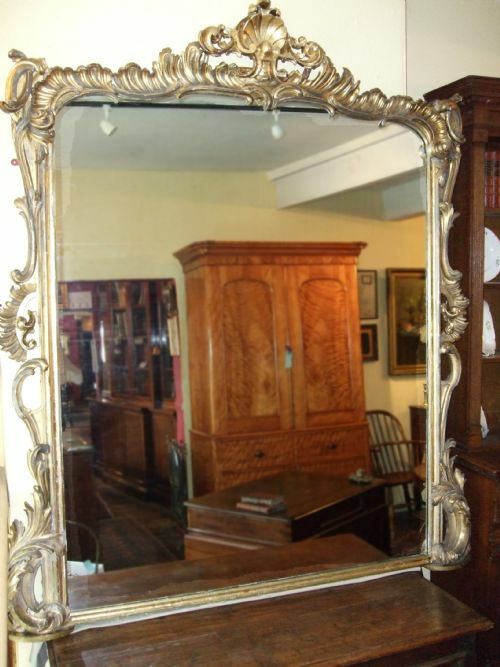 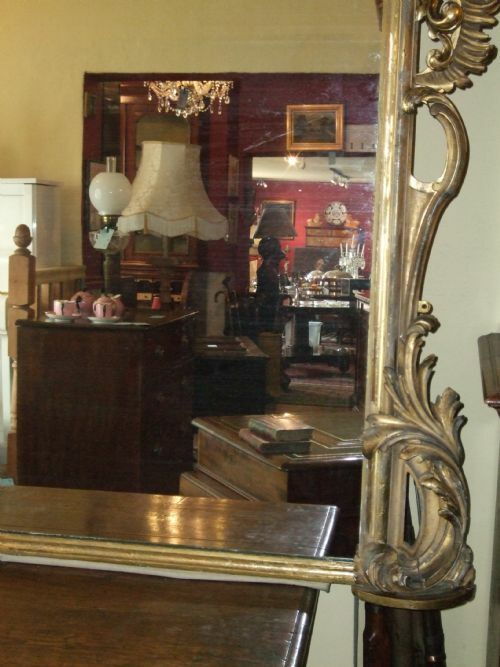 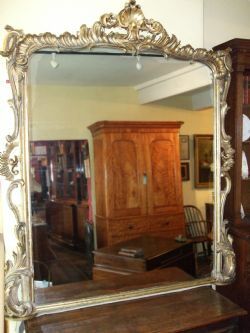 Victorian Mahogany Cheval Mirror with Original Mirror Plate Flame Mahogany to the Base. 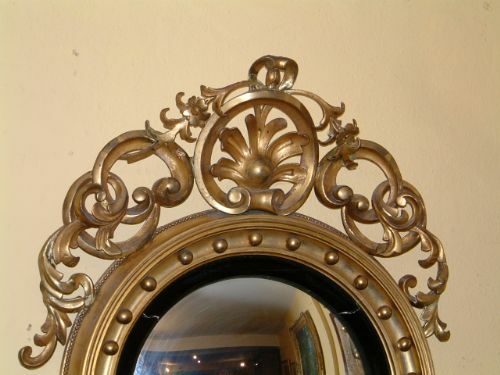 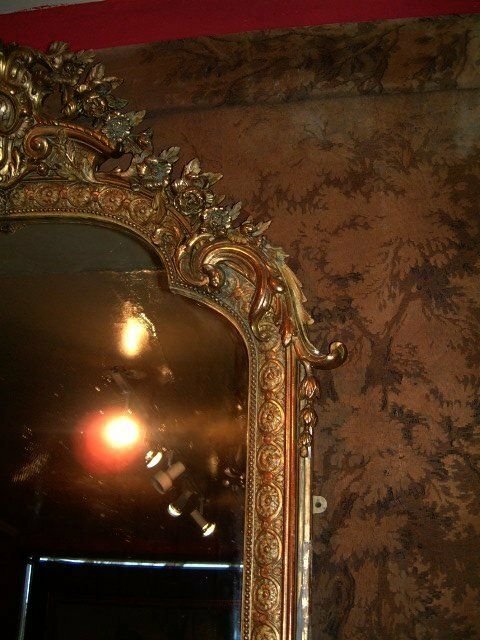 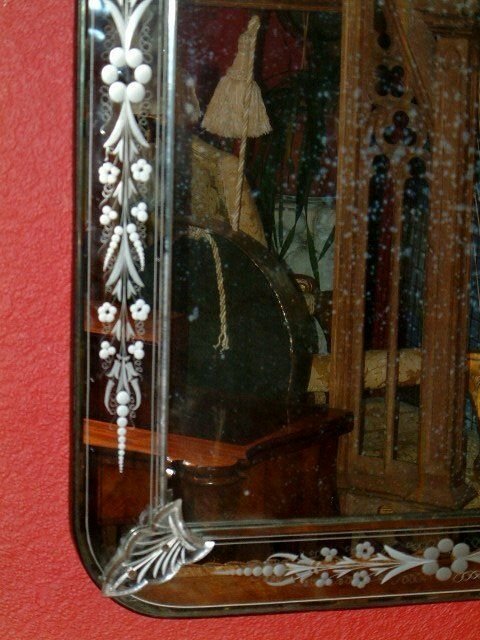 1920’s Venetian Mirror the Crested Top Above Bevelled Engraved Panels with Applied Mouldings.